Diamonds are renowned for being a gemstone of outstanding physical qualities. They refract light offering incredible visuals. No wonder why they are the choice for marriage proposals. And who would think this beautiful gemstone is so hard that it could cut through just about any material? But what more should you know about diamonds? We created a list that includes the most interesting things you should know about diamonds! 1. What is a Diamond? Diamonds are made of carbon, and they are some of the most distinct, unique minerals out there. They are a great heat conductor, and diamonds have the highest melting point of any substance, which is around 4090 degrees Celsius. However, this doesn’t stop here, as diamonds are rated as 10 on the Mohs scale, and they are around 40 times harder when compared with Corundum, grade 9 on the same scale. The hardness and overall refractive index will vary most of the time based on the diamond type. When it comes to coloring, diamonds offer a vast variety to choose from. They can be anywhere from colorless to yellow-brown. There are also darker, black diamonds, which are very distinct in the world of gemstones. Clarity is a important factor when considering to buy diamonds. This is graded based on inclusions and flaws, and their combination. Internally Flawless and Flawless diamonds are the purest diamonds out there, and obviously they are the most expensive because of this reason. A diamond’s size is measured in karats. These karats are around 0.2 grams each. Some professionals also use the point measurement, which is particularly good for smaller diamonds. In regard to harness, diamonds are widely known for their durability, and they are extremely difficult to polish because of that. However, this also means diamonds can withstand the day to day wear and tear. 2. How are diamonds used? Obviously, the primary use of diamonds is as jewelry. You can never go wrong with a gold or silver ring with diamond! However, you can also find them in various industries that make good use of the unique hardness offered by this gemstone. There are multiple Diamond varieties, and each one of them tends to come with specific uses. You have the black diamond that can occasionally be used as a gemstone, and it has a shiny metallic luster. Borts are dark colored and opaque. They are usually a gem quality diamond. The canary diamonds are diamonds, which feature a very interesting, unique deep yellow color. Lastly, you have fancy diamonds like pink, green, purple as well as red or blue or deep brown. These are known to be extremely rare, which makes them highly sought after by a lot of people. 3. How to buy Diamond jewelry? 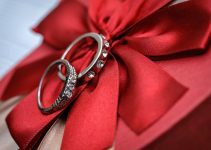 Buying diamond jewelry can be tricky if you don’t know what to look for. Diamonds might get confused with other stone with similar looks such as moissanite or cubic zirconia; never hesitate to ask the seller the authenticity of the stone and clearly state that you are willing to buy a diamond jewelry. Of course, design might demand an aesthetic question of personal taste but there are 4C’s to look out for in every diamond jewelry piece: cut, carat weight, clarity and color. • The diamond’s cut is crucial. Check for symmetry, proportions to overall design of the jewelry and polish. The cut comes to an art as it is manually performed. • Select a carat weight. The carat amount will be very important as it will cap the price and design alternatives. • Clarity is a fundamental aspect when you buy any diamond jewelry. 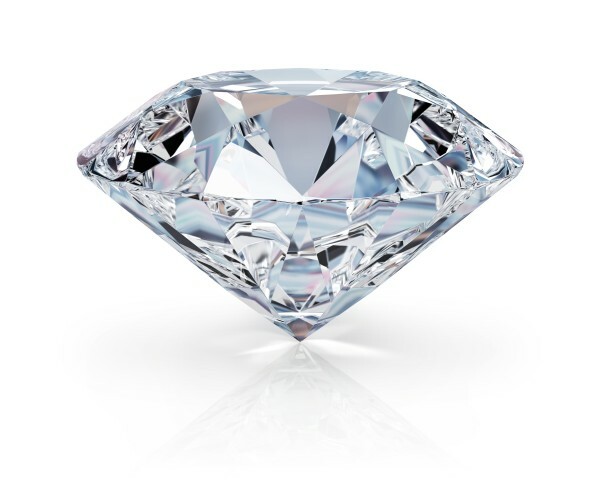 The higher the clarity, the better the value and quality of your diamond. • Colors are also important. Colorless diamonds are the most rare and expensive ones, but a colored diamond may be more expensive depending on its rarity. • You may lower the clarity and karat depending on your budget. Usually, you won’t feel that much of a difference if you go to the next lower grade, so keep that in mind. You should also ask the composition of the metal whether it is gold or silver, and their purity. 4. How to take care of Diamond jewelry? Just like any jewelry you own, if you take good care of your diamond necklaces and rings and other jewelry items, they will take good care of you in return. A diamond ring which has been subject to good care will shine brighter and longer and also command a higher price in case of sale. For more information you can check our post on diamond appraisal. Here are some good practices to follow while storing, cleaning and using your diamond jewelry. • Avoid touching the diamond all the time. • Remove the ring when you are working with chemicals such as before cleaning. Additionally, take off your diamond jewelry before hard work to prevent any mechanical damage. • You don’t need your diamond necklace in the pool or sea where it can get damaged by chemical substances and slip away. • Just like you go to a dentist at least twice a year, take your Diamond jewelry to a professional every 6 months for a quick checkup. • Putting your Diamond jewelry in a padded box can come in handy if you want to store it adequately. • Always use a soft cloth and only use chemicals, which are adequate to diamond cleaning. • Never use ultrasonic cleaners if your diamond has cracks or similar deformations. • Consider buying a damage and theft insurance for your Diamond jewelry, just like you do for your house or car. To sum up, diamonds are unique members of the gemstone family. With their spectacular shine and rarity only a select few may have the privileged to wear them. Hard as it can be, diamonds soften hearts like none other. After all, there is good reason for a diamond ring being an absolutely ideal proposal gift which will last forever.